With Happy as the theme, I contemplated many special events and decided on our wedding day, the start of over 50 happy and eventful years together. Materials: polyester satin finished fabric, net, several laces and the gold thread lace from my wedding dress bodice and back drape. The quilt construction was basic crazy quilting and the last pieces were overlaid with net. The photograph was photocopied then the photocopy was covered in fine silk and backed with a heavy Vilene. This was then carefully coated with a fine brush coat of textile binder medium, which, when dry, adhered the three layers together. 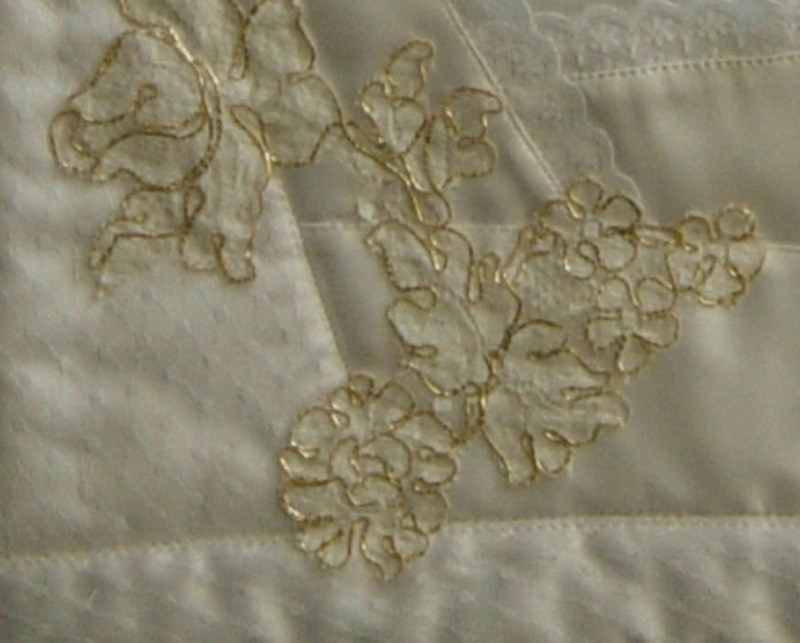 This was stitched to the centre of the background and lace edged. A very personal interpretation of the theme. What a way to capture the special day, especially with the inclusion of lace from your wedding dress. Many thanks for your comments. When I found the lace I knew what theme I would follow. Where did the years go? 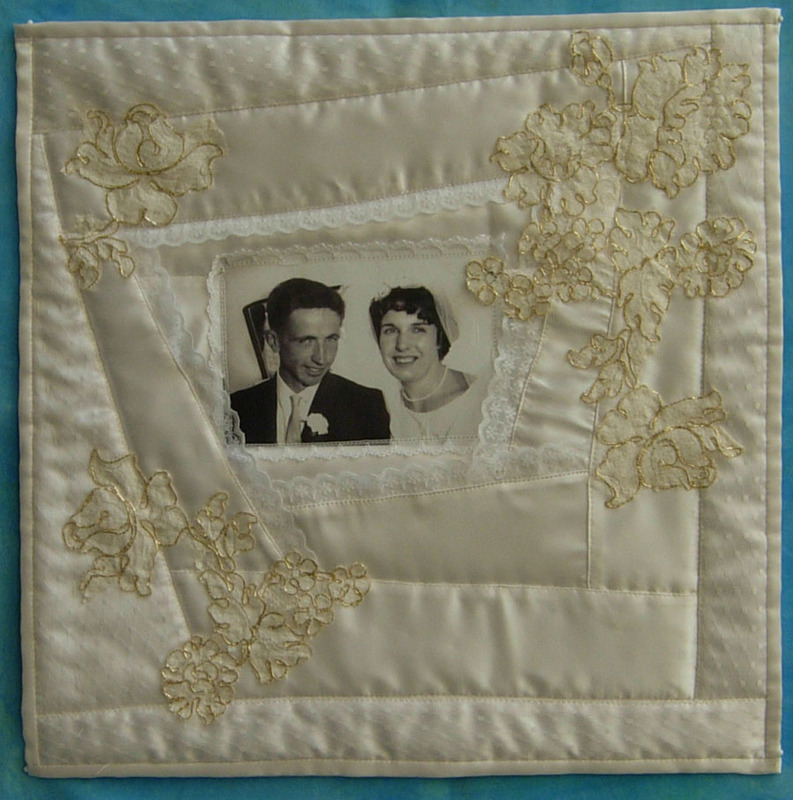 What a lovely memory quilt. What else to do with a wedding dress.